This rye is pretty much what I was after. Dense, dry, sturdy, stiff crumb. It is called Klosterbrot Roggenbrot. Here are some photos. If anyone has a good recipe similar to this please share. I would love to make this. I have german Mischbrot (30/70 - Rye/Wheat) recipe, are you interested? Thank you for the offer. I have no idea what a Mischbrot rye is. I did look it up on Google and a lot of different photos came up, all looking different from each other. I like this one the best. So if your recipe ends up looking similar to this one, SURE, yes please and thank you :) Hvala lepo. Here the recipe : Mischbrot 30/70 (30%Rye / 70% Wheat/Bread flour) . 2 loaves 860g. Color of the bread will be brighter if you will use medium rye or darker if use dark rye flour. Final fermentation: about 60 min. at 28°C/82.4°F or even long at cooler tempereture. Baking: pre-steam your oven, load bread and bake at 450°F/230-240°C for 40-50 min. Remove steam after 10-15 min and bake in dry oven. To have nice crispy crust bake last 5 min. with open door (use tablespoon to get 1 inch open). Let cool for at least 12 hours. Thank you Mirko, however, I do not have fresh yeast. What can I use instead? I do have rye sourdough starter, but not fresh yeast. Can I use dry active yeast? Yes, you can use active dry or instant dry yeast. I got my fresh yeast from Superstore (Canada,Manitoba). Mirko. I picked up that loaf of Klosterbrot Rye from Superstore today! Where would I find the fresh yeast? In what department of Superstore? I went to bakery staff and asked for fresh yest, they have 1 pound pieces for about $1,79(not sure about price, could be different in your store). dabrownman..thanks but I WISH I baked these. The first set of photos is a store bought loaf and the other is a photo I found on the internet of a Mischbrot. Just like the Berliner Landbrot I pointed out in your earlier post. If they call it "Roggenbrot" it HAS to have more than 50% rye. 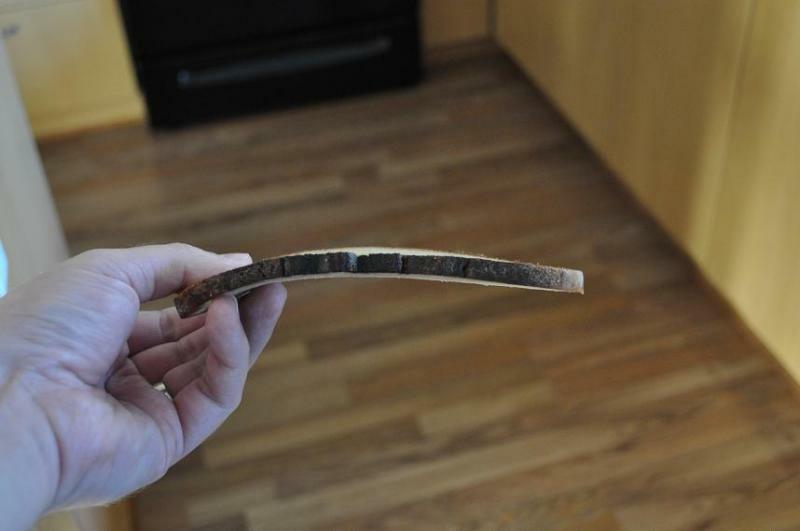 I am sure it is a 70% medium rye / 30% wheat bread made following a Detmolder process. They also add whey. Just checked the "Leisaetze fuer Brot"
If you call a product "Roggenbrot" it has to have at least 90% rye. They are not required to do that - word roggenbrot has no legal meaning in North America, most people probably don't even know what it means. What they are required to do is to list ingredients based on their content, that is the ingredient with the highest percentage comes first. 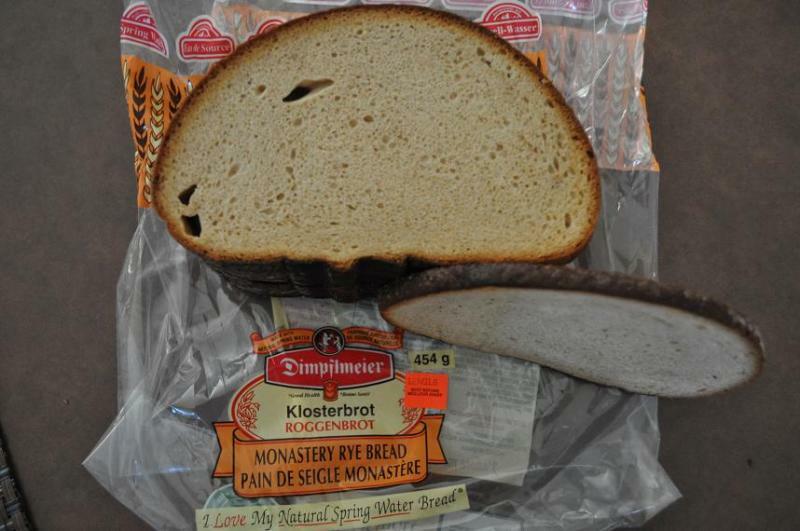 Ingredients for klosterbrot are listed as "Unbleached Wheat Flour, Natural Spring Water, Rye Flour...." meaning that it is, without a question, a predominantly wheat bread. Yes, but what does it have to do with the fact that the bread in the first photo is mostly wheat? My recipe 'Mischbrot' or exactly name in german is 'Weizenmischbrot' (Wheatmixedbread - I know sounds stupid) is 30% rye flour and 70 % bread flour, if there is 70% rye and 30% bread flour is Roggenmischbrot (Ryemixedbread) but this is the case in Germany. But here in America or Canada you can call it no matter how. Weizenmischgbrot(30/70) is lighter in color as Roggenmischbrot(70/30), so if I see the picture it looks like Weizenmischbrot(30/70). I used to live in Germany for 18 years and Weizenmisch-/Roggenmischbrot were my favorites breads. 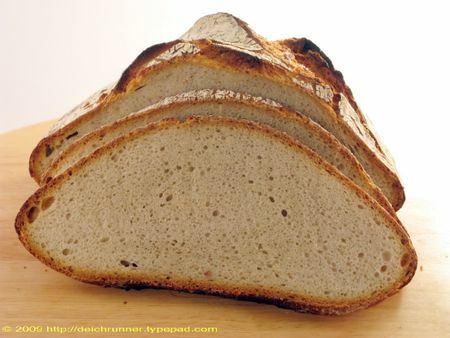 I think Juergen Krauss bread (with 70/30) will be more darker as the bread on John's picture, but this is very good recipe, is worthy to bake. I don't think that looking at crumb color is a reliable way of determining bread composition. For example, how much rye do you see here? I agree, just looking at crumb color is not good way to determinig bread composition, is only life experience. Iuse to live in Germany and they have a lots of various kind of breads. We use to eat almost every day Weizenmisch- or Roggenmischbrot. Weizenmischbrot is lighter in color and the bread on your first picture looks like Weizenmischbrot but could be any other kind of bread (Spelt bread, light spelt, or light rye bread...). 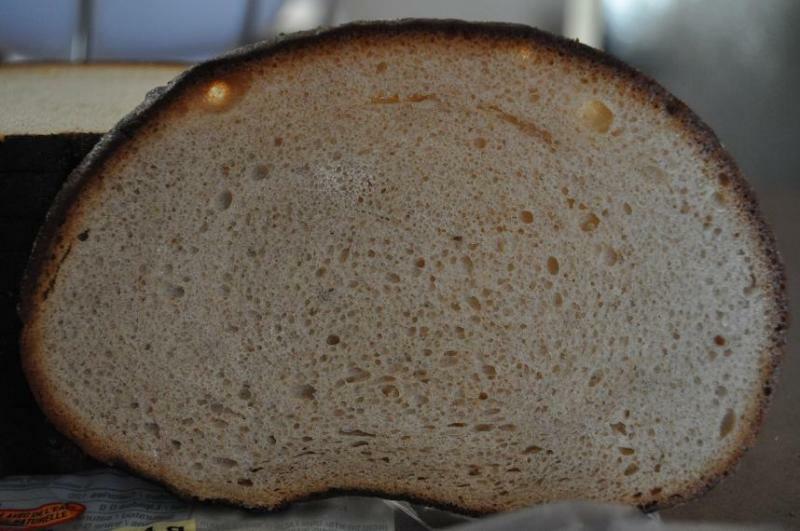 Second could be wheat bred with some wohle-wheat , high-extraction flour or 40% medium rye, but I just guess. It's not a bad guess. I would like to know what kind of bread is on the second picture? You were not that far off on this one, it's 20% medium rye/80% hight extraction flour. I often make three stage bread that is 35% whole ground rye, 25% whole ground wheat, and 40% white bread flour using a 100% hydration starter - see picture below. It is slightly darker than the second picture above by Suave due to the combined whole grain percentage of 60% (rye and wheat portion and using all of the ground flour, no sifting). Im a venturing a guess that the picture first shown by Song of the Baker in this post does not likely have a lot of Rye flour in it, guessing 15-20% give or take, the rest being white flour. At 30% the breads become darker and certainly more so as you increase. While I agree with Suave that color is not a great indicator, anything north of 30% rye will be darker than shown at the top. Perhaps try a 25% rye 75% white flour and you can increase proportions over time. Another key element in the final product is taste re yeast or no yeast. Using a 100% rye starter at 100% hydration, combined with mutliple builds can give you a subtle barely tart/sour style (using a small percentage of preferment), or a more aggressive style by using a larger portion of preferment. One more pic: 55% rye, 10% whole wheat (both fresh ground and 100% used in recipe, no sifting out of bran, etc) and 35% white flour. It looks lighter than the one above even though it has more rye. partly due to lighting, but is actually is lighter with 35% white vs. 40% in the pic above. So perhaps the higher percentage of whole wheat above made the difference. Using the whole part of the grains may also be a reason why, vs "light rye". Both followed the similar build schedules... Cheers! Not sure if it's already been mention in this thread, but alot of these ligh rye breads use white rye flour. It's rye flour with the bran and germ removed (I think). I don't know that an ingredient list would necessarily specify what type of rye flour is used in the bread. Although, if it doesn't say whole rye flour, that could be a hint that they are using a sifted rye flour of some kind. Just a thought. Click on the bread and they tell you the ratio. John mentioned this bakery in his initial post, I think. Actually, I had not mentioned this site or bakery, but thanks for posting it! What a great tool to figure out breads by crumb photos.